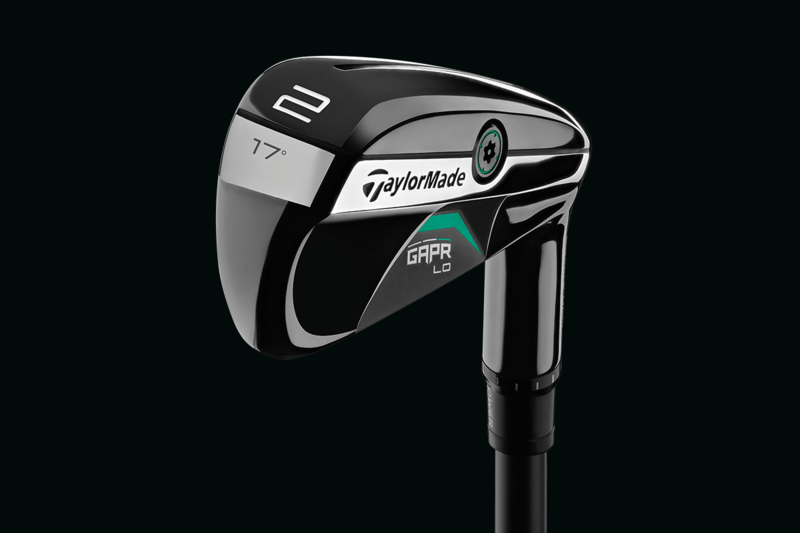 3 models, and plenty of SpeedFoam, check out the new GAPR Line from @TaylorMadeGolf. Back in 1999, TaylorMade introduced its first rescue club. And while it wasn’t the first hybrid on the market, it was the first to blow up and achieve any degree of popularity. The impact was such that Rescue became more than just a brand, for many golfers it became the category name. Think about that for a second; drivers never got called Big Bertha’s, but plenty of golfers referred to their hybrids as Rescues. That’s how significant TaylorMade is to the category. That was then. 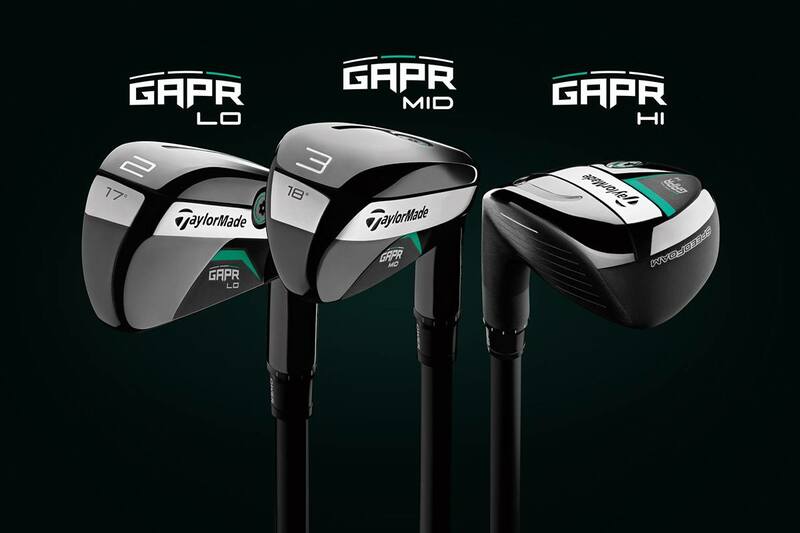 We’d wager that TaylorMade’s marketing department will not capture lightning in a bottle a second time with the release of its new GAPR line. GAPR: A series of clubs that gap the distances between your irons and your woods. You know…like hybrids (or rescues) but with a greater variety of options. The GAPR name may not quite be on the level of RocketBallz, and Jetspeed – the former a smashing success, the latter an unmitigated disaster, but was so wrong with Rescue? Marketing aside, hybrid clubs are an essential part of a modern set of golf clubs. With the modern golf ball there aren’t many golfers who should be using a traditional long iron. And with their long shafts and insanely high ball flights, clubs like 7 and 9-woods are largely reserved for slower swingers. Hybrids and driving irons were made to fill the gap(r), but neither is without its issues. Driving irons are not easy clubs to hit unless you have a ton of clubhead speed and some ball striking chops. The footprint of hybrids has expanded and many, from a size perspective, encroach on the fairway wood space. Frankly, we’re a long way removed from the nimble and versatile clubs hybrids were meant to be. And we still haven’t talked about how better players often struggle to keep from hooking them. As a group, the category is far from perfect. GAPR is intended to bridge the gap between your longest playable iron and your shortest metalwood – an idea, by the way, that’s been a documented and integral part of the Titleist fitting philosophy for years. This isn’t new thinking by any measure, though TaylorMade may argue that, with three models, it offers greater fitting flexibility. So why then should you be interested in the GAPR? TaylorMade will tell you it’s because of SpeedFoam; one of the ingredients in its ongoing legal battle with PXG. TaylorMade uses SpeedFoam to help generate ball speed and dampen vibrations. You get a solid feel but with hot ball speeds. Those that have hit the P790 know they deliver on this promise. The GAPR line features three distinct models, and each offers some measure of SpeedFoam. Each is constructed with 450 stainless steel bodies and C300 steel faces. All three models feature Speed Slots and Loft Sleeve adjustable hosels, and all come stock with KBS Graphite hybrid shafts and Golf Pride Tour Velvet 360 grips. It’s also true that each features aquamarine accents, which while not matching perfectly, fit somewhere between Callaway’s choice for the Epic and Rogue lines. Even the font shares similarities. It’s a sudden departure for the BMW-inspired choice of the latest M-Series. It’s the kind of thing that doesn’t happen by accident. Is TaylorMade trading on Callaway’s success or actively trolling its top competitor? Take your pick, but either way, it’s another example of once might TaylorMade following trends instead of setting them. 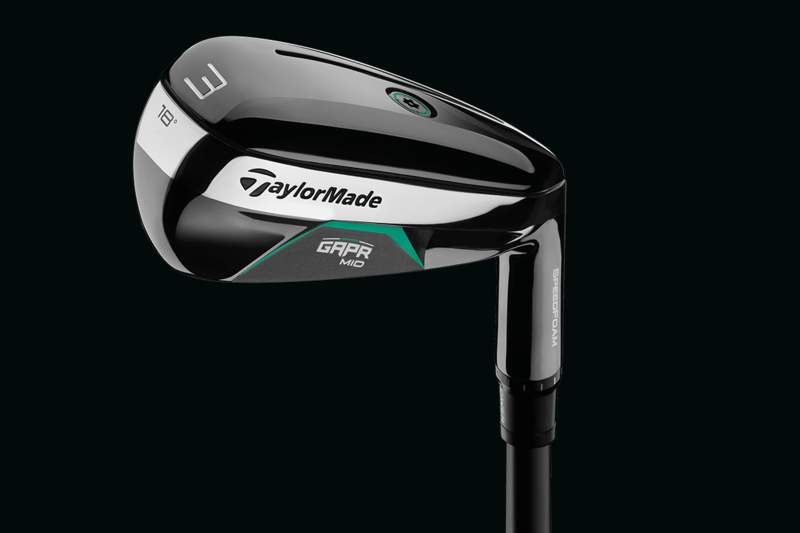 In the lead up to the Open Championship, the GAPR LO has made it into a few TaylorMade tour bags. The GAPR Low is a low offset driving iron, a touch larger than the P790 UDI, and closer in size to the TP UDI. Its audience is the better player. Tiger Woods and Dustin Johnson have both been seen testing these in practice at Carnoustie. While some of what’s appeared on tour is of the glued hosel variety, the retail GAPR LO offers an adjustable hosel, something we’ve only seen previously on Cobra driving irons. The GAPR LO comes in lofts of 17°, 19°, and 22° degree options. The GAPR MID is a larger iron style hybrid. Think along the lines of a Ping Crossover. A wider sole, an ultra-low center of gravity, and a small little alignment aid are hallmarks of the design. Oh and remember SpeedFoam. Lots of SpeedFoam. It comes in 18°, 21°, and 24° degree options. Rounding out the lineup is the GAPR HI. Featuring what TaylorMade calls ‘modern Rescue’ shaping. An ultra-low, but back center of gravity should help generate high flying, low spinning shots. It’s your requisite maximum distance kind of story. To keep the CG low, the TM team had to use a modified SpeedFoam as the original goo raised the CG and left the club feeling dead at impact. The unusual stepped crown design helps push the CG even lower. The design is reminiscent of the Yonex Tri-Principle and Element 23 hybrids from years gone by. 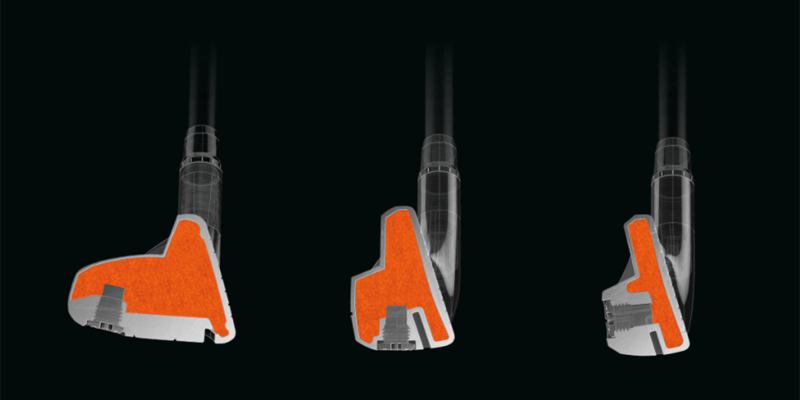 The GAPR HI comes in lofts 19°, 22°, 25°, and 28° degree options. The encouraging thing about the GAPR range is how much the shaping of the MID and HI suggest they could have been designed by the now-defunct Adams Golf. Specialising in hybrid clubs, Adams was one of the first to produce true hybrid sets, and the GAPR Mid takes a lot of the club shaping from the mid irons in the Tech OS V3 irons from 2013. We’re not saying they haven’t been updated, but it’s clear to see a shared DNA from the brand TaylorMade swallowed up 2012. It’s fair to question the necessity of the GAPR line. It was only at the beginning of the year that TaylorMade released M3 and M4 Rescues. The P790 UDI is relatively new to the market as well. 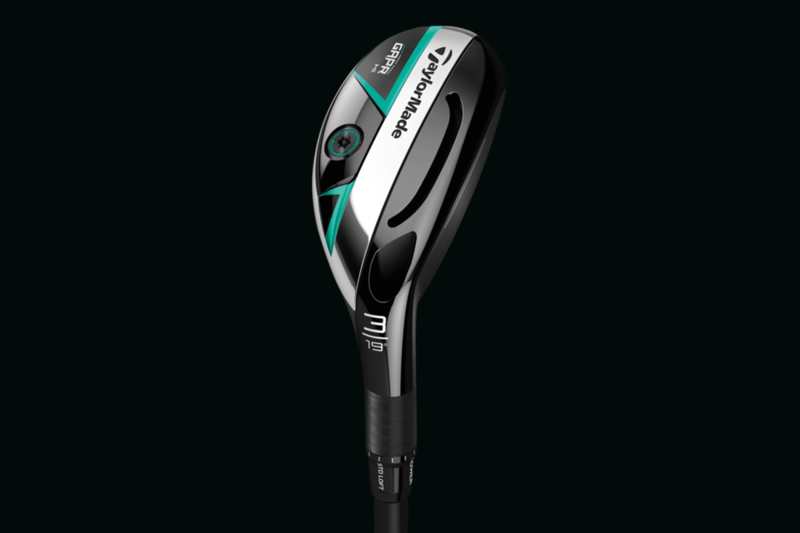 In a rush to add sales for their new investors, has TaylorMade attempted to create a category because a need exists, or is the need simply related to boosting revenue? We’re skeptical, as it has the makings of a mid-season cash grab from a company struggling to find any significantly innovative ideas to bring to market. Hmmm… personally, not the prettiest clubs TM’s made, I think. If this is supposed to be a beauty contest with Epics, TM lost badly! For the most, the HI is just another adjustable hybrid, but with foam, is it not? 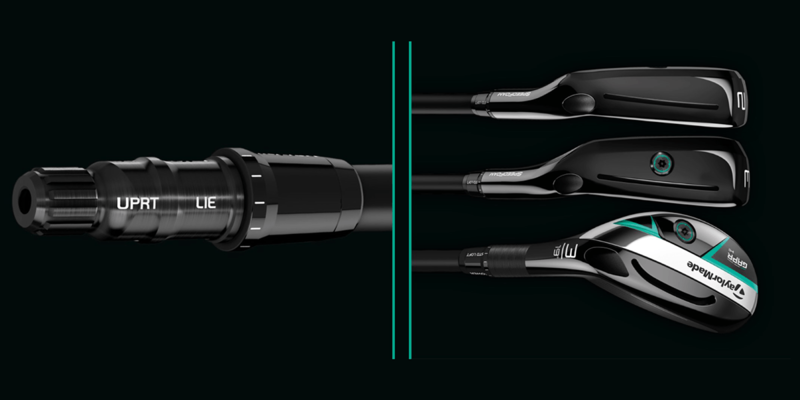 The LO and MID are the only two that aren’t currently part of the typical hybrid/utility iron offerings, so is this no more than some competition with Cobra? As usual, it’s also competition for themselves, but I guess that will never change. For those of us who do not hit a 9 iron a 175 yards. These are a great way of replacing hard to hit long irons. Been playing the P790’s for 6 rounds and was thinking about ordering the 4 iron for 200 yard par 3’s and off the tee. I like the look of the 21 degree gapper low vs the P790 4 iron since I only plan on using it off the tee. BTW, I love my 5-GW, it was a smart decision at 62 years old. I am still fight the young bucks from the back tees. 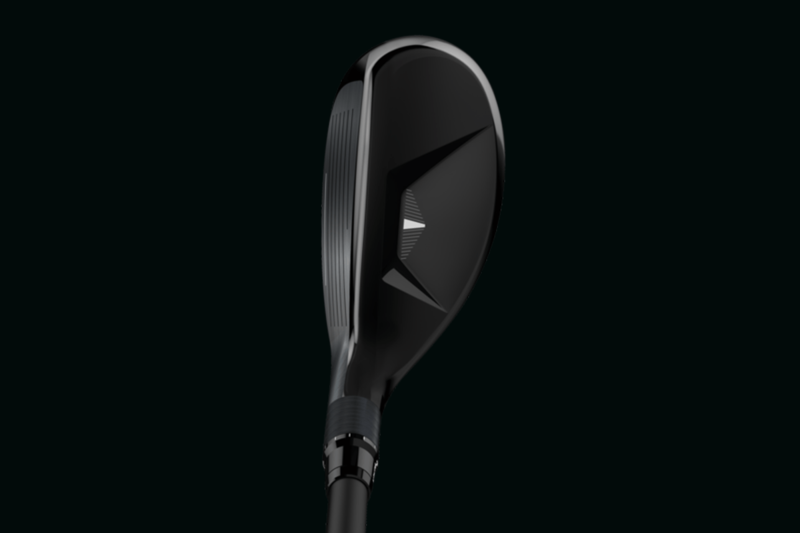 Those of us lucky enough to game the P790, love them for ball speed, distance, height, feel and sound. Not a lot of offset or thick top line, these Gapr, maybe 1 or 2 of them will be a perfect compliment to the 790s, without resorting to a 5 wood. i typically see most 5-12 handicaps carrying 14. I think this is great information, but hybrids are a much older idea than any of the OEM’s would have us believe. Long before the original Adams Idea came to market, and offered salvation for myself and many other mid to high cappers for only $299 a set, there had been many others. Anyone remember Stan Thompson, and The Ginty? It wad a 7 wood head on a 4 wood shaft length. An incredibly effective “Rescue” club for the time. Patented in 1973. But even that doesn’t back date far enough. Does the name Harry Vardon ring a bell? He writes affectionately of a club which had ” a sort of iron blob at the end of it. If I ever got into trouble I knew i could count on that club to get me out. I had it repaired over and again, until my clubman could repair it no more. ” That certainly sounds like a hybrid/rescue to me….and old Harry pretty much predates ALL of the club making OEM’s I can bring to mind. 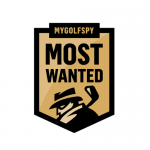 So again….nice write up….nice clubs…..but definitely nothing new (speed foam or not) under the sun. 790 long iron DNA runs strong in GAPR Lo and Mid. It is great to see a design cross-pollinate over to another area. I note that there was plenty of public musing about combining long irons from the P790 with the P770 and it made so much sense. I like them, I like the idea. I have a Wilson V4 Driving iron for my 4 and a TM M2 hybrid for my 3 then a 16.5 TM 3 fairway all easy to hit and they blend very well for me. I could see playing the Lo and mid or the mid and high. The adjust-ability is a nice touch I’m not a TM homer but they have made some of my favorite hybrids over the years. OK, so in addition to the M3/M4 hybrids, there’s “another” hybrid TM is making. Well, actually it’s 3 versions of the same hybrid. So now I have to decide between M3 / M4 / Gapr L / Gapr M / Gapr H? What time can the tour van come to my course & work w/ me? I really doubt my local golf store can figure this all out in a half-hr fitting. Spend your $$$ on lessons & more short game practice, folks! Hmmm, Tour Edge Exotics came out with the iron-wood late last year, is this just a copy of what TEE did. The iron-wood is a nice club to hit by the way and goes a mile with a mid high flight. The iron wood design is a lot older than last year. Tour Edfe has had some version of that club for a while under different names. Ping had the G15/K15/G20 hybrids that weren’t really that different. Same with the Mizuno Fli-Hi. One could probably argue those are all variants of the Brownings. Shrugs. I don’t really care. These are luxury goods products. If TM makes it, someone will take a look. I’m no TM homer, and have always preferred other hybrids to TM. The high flight one looks interesting, which is seemingly a good thing for TM. So are they getting rid of all other hybrids, utilities, driving irons because this should fill that “GAP”, right? They make it seem as if this is a new revelation when in fact it’s been around forever. I hate the false “Taylormade releases something every month” comment (or something like that).